With us you will find the cheapest and the perfectly matching trip! Then, we are the right choice for you! World-Traveler-Club stands for “We love to Travel Cheap” and therefore, we will show you how to save money for your next holiday trip! We will find the cheapest flight fares and hotel rates for you – up to 80% off the normal costs. 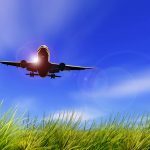 – Why not flying business class, if it costs the same as flying economy? – Or stay in a luxury 5-star beach resort for less than € 50 / night / room ? – Or cruise 8 days on a luxury cruise ship in the Caribbean sea for less than € 300 p.pers. incl. full board. – It is your choice! Join us now for free! It is worth a try! More than 700 travel deals per day are waiting for you. With our state-of-the-art travel deal search engine “Deal Scanner”, we are able to provide you the best access to all current travel deals offered from more than 300 deal resources, blogs and travel sites. Only here you gonna get access to all the travel deal resources worldwide. Pack your bags and check-in!! Join us now for free! World-Traveler-Club is your all in one platform. You can inform yourself about current deals, get tips and trick, find the cheapest provider, and exchange your experience with other community members. Become a World-Traveler-Club member and join our community with exclusive deals on some of the best hotels, business class flights, airlines, cruise ships, and complete travel packages. Stay at prestigious resorts, hotels and fly in comfortable business class for less. Discuss and chat with other travelers, get advice, tips, tricks and special member deals. Save up to 70% on hotel bookings with our meta hotel search. Our love for travel and exploration spans over 30 years. We enjoy flying comfortably and staying in exceptional hotels. We also love to chat with people who share the same interests and passions. You too ? Then join us at the World Traveler Club. 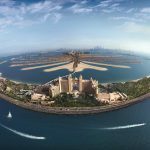 Our team of travel specialists have spent almost three decades in the travel industry, and our knowledge of the world’s most inspiring places is unrivaled. We are experienced, sustained, discerning and we believe that travel is one of life’s ultimate joys. We love exploring the world, and we know it intimately. Have you ever dreamed of staying in prestigious resorts, hotels, and fly comfortable Business class or First class with up to 70% discount? 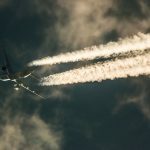 Of fly for less than 1000 bucks arround the world? – With World Traveler Club your dream has become true. We spend our days looking for the best of the best travel deals, with our eyes peeled for killer flight deals, hot hotel rates, cruise deals, discounts and bargains and more… Our favourite part is being able to share the deals with people like you. We are passionate about best travel deals. Here at the World-Traveler-Club you get exclusive deals of the best hotels, airlines, cruise ships, tour operators of the world. Our mission is to find the best travel deals and share them with our community. And all bookings will be made directly on travel companies’ websites. In our community you can discuss and chat with other travelers. Travel and the change of place will impart new vigor to your mind. 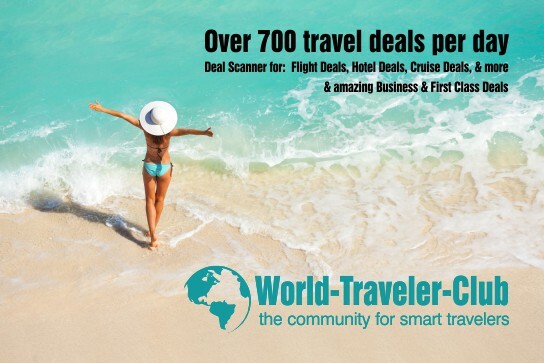 AND MOST OF ALL: With our unique “Deal Scanners” we are able to find all travel deals from over 300 travel blogs, travel sites and travel deal resources for our members. As a World Traveler Club GOLD member, you can benefit from exclusive member benefits such as a secret deal web scanner, listing all deals available and special member discounts on hotels, tours and activities. World Traveler Club offer three membership options. The first option is a basic membership which is totally free of charge. With this option you can access most travel deals, fully access the traveler chat, view all booking sites, receive newsletters, and save up to 40% on hotel bookings with a meta hotel search machine. The second option, a GOLD membership, offers not only all services mentioned above but also exclusive GOLD member travel discounts and access to all secret travel deals available. Furthermore, it includes for GOLD members kickbacks when booking with World Traveler Club. The GOLD membership costs you only €29 per year which is almost nothing compared to the money you save with only one secret deal. The third membership options is the PLATINUM membership which includes an additional concierge service (only 10EUR more) which allows you to sit back and handover your travel wishes to our travel specialists and we serve you with the best options to choose from. Have World Traveler Club aroused your interest? With World Traveler Club you can save time, money, and enjoy your holiday! Find here our membership plans. World Traveler Club, is an exceptional travel community for smart travelers. 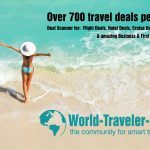 With our unique “Deal Scanners” we are able to find all travel deals from over 300 travel blogs, travel sites and travel deal resources for our members. The website offers customized travel deals, tips & tricks, hacks, and information about various locations. Additionally, you can also compare prices and book flights, hotels, cruises or car rentals via our website at the cheapest prices. To share your experience, an interactive chat and a forum is also integrated.